– September 1967 -- Billed as North Dakota’s largest Shopping Center in 1967, Town & Country was holding an Appreciation Days event. The claimed to have had more than 5 million people pass through their doors since opening. – Town & Country, with all 17 of its stores employed over 400 people, had parking for 1100 cars and was completely air conditioned….. 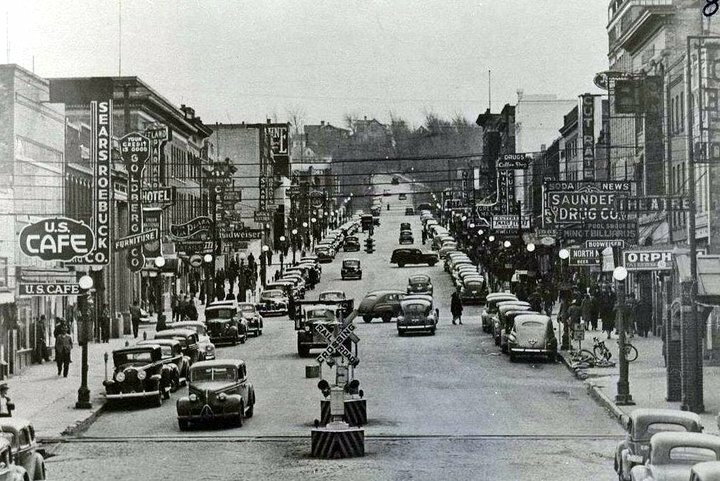 Some of the merchants at the time were: Sears, Cal’s Beauty Salon, Fanny Farmer Candy, Holland House Cafeteria, JJ Newberry’s, Kinney Shoes, Steenstrup’s Jewelry, Walter’s Women’s Wear, KG Men’s Store and Piggly Wiggly Food Store.